Oral and written submissions at the Alberta Court of Appeal and the Supreme Court of Canada are markedly different from advocacy at the Court of Queen’s Bench or Provincial Court. Appellate advocacy focuses on distinct legal issues and requires an advocate who, on behalf of an Appellant, can persuade the Court of Appeal or the Supreme Court of Canada that the court below made a reviewable error and the judgment or order must be set-aside, varied or sent back to the court below again. Alternatively, when acting for the Respondent, appellate advocacy requires an advocate who can argue that the court below made no error, or alternatively, that the issue brought forward by the Appellant is not reviewable or discretion towards the lower court ought to be exercised. 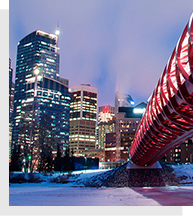 Our firm is one of a few Calgary Family Law Firms that routinely handle appellate work. Often we handle appeals on behalf of clients whom we have represented throughout their cases’ and we are also often referred appellate work by other lawyers. Our successful appellate counsel draw from wide experience and understanding of Family Law. Our lawyers have argued appeals at the Alberta Court of Appeal and the Supreme Court of Canada.